Eating too fast is dangerous to your dogs, they can vomit or develop bloat, therefore, making them eating slower is a must. 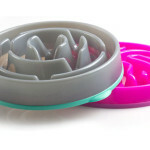 You can do this when using one of those special bowls such as Green Interactive Feeder. 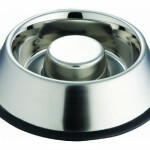 The feeder is not a bowl actually, but it revolutionizes the way your dog eat into a challenging game. 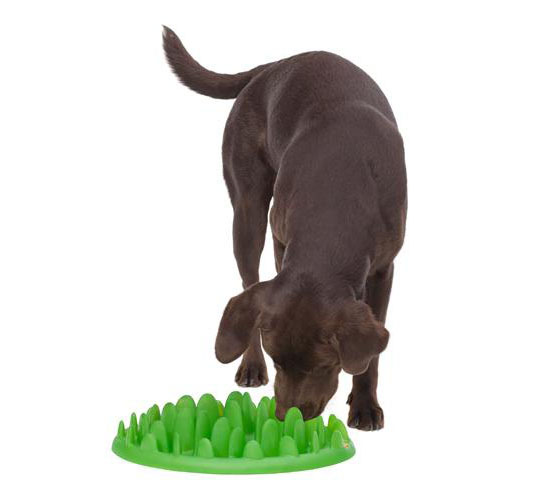 You can scatter their food across this feeder, your dog needs to do some “works” to get its food out between those plastic grass, it’s definitely going to slow your dog down. 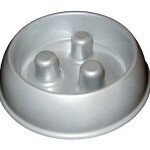 Many dogs lack mental stimulation that can lead to boredom and develop bad behavior, using this feeder, you can stimulate your dog mentally and avoid those bad behavior issues. 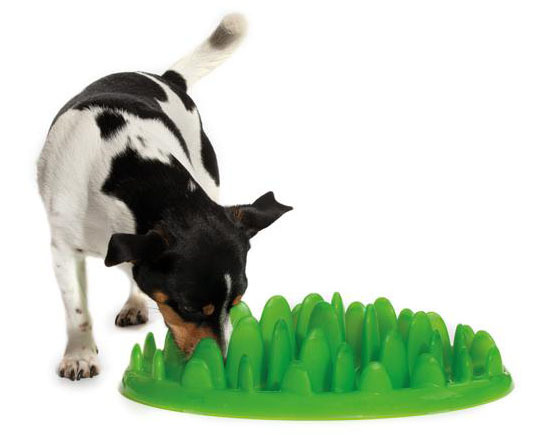 As you can see here, Green Interactive Feeder will definitely slow down eating time, it reduces the risk of vomiting, gagging, gas, and of course bloat which can lead to fatal disease for dogs. 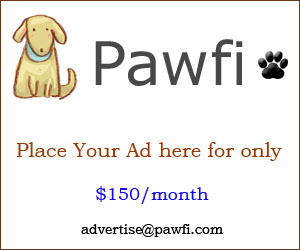 There’s only one size that can be used for wide variety of dogs regardless their weight and breed. 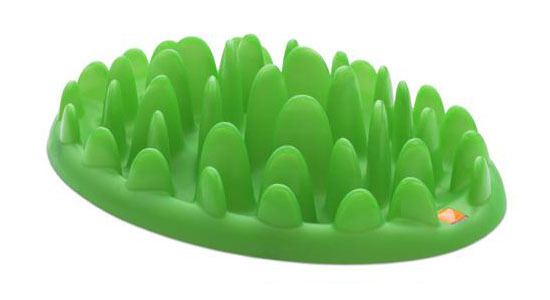 This product is dishwasher safe for added convenience.